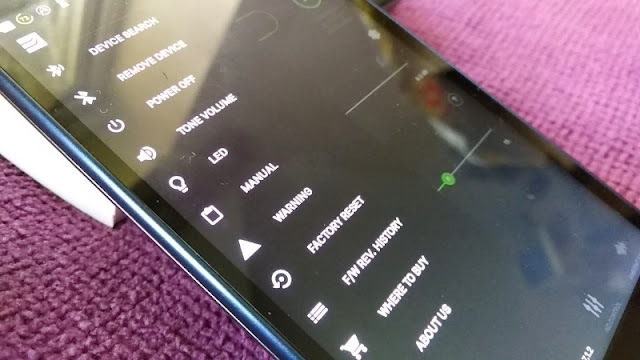 High resolution playback on smartphones is mostly restricted to flagship phones such as the LG V30S ThinQ and Samsung Galaxy S9 series which support MQA audio and Dolby Atmos respectably. Fortunately, with a 24-bit bluetooth receiver such as the EarStudio ES100 by Radsone you don't need the latest smartphone to enjoy high resolution audio on the go. The EarStudio ES100 is a high resolution digital-to-analogue converter (DAC) that boosts your smartphone's internal DAC, making the detail and texture of music sound closely to that of Studio Master FLAC files (studio quality sound). 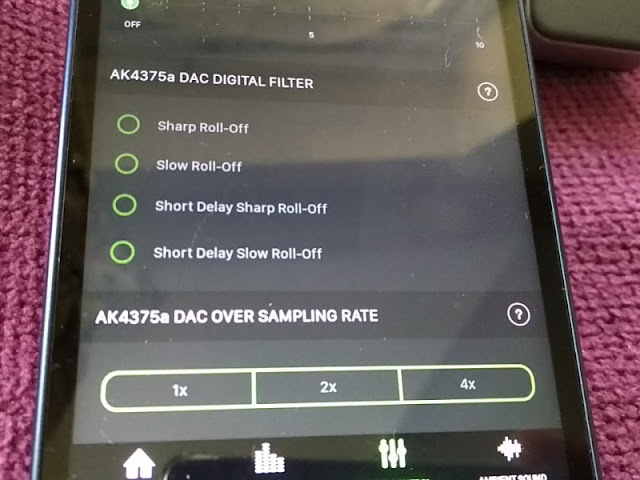 Speaking of DACs, the EarStudio ES100 bluetooth receiver integrates two AK4375A (32-bit) DACs with a class g ground-referenced headphone amplifier built-into each DAC. 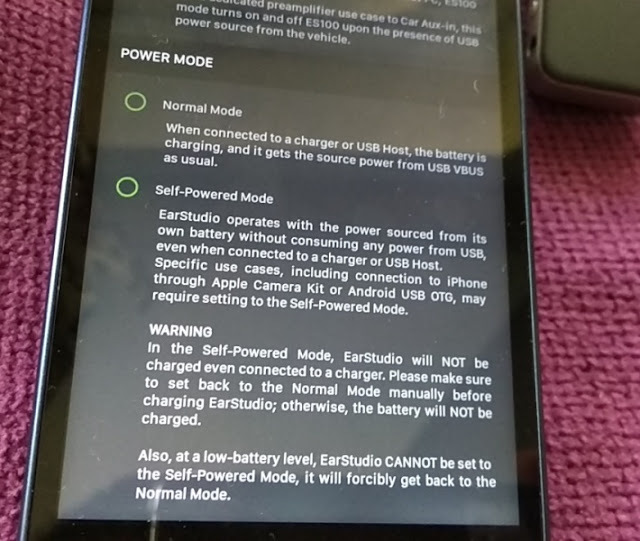 This means, EarStudio ES100 has different amplification levels which can deliver double the current (3.5mm audio socket) and double the voltage (2.5mm audio socket) so you can connect low and high impedance headphones. 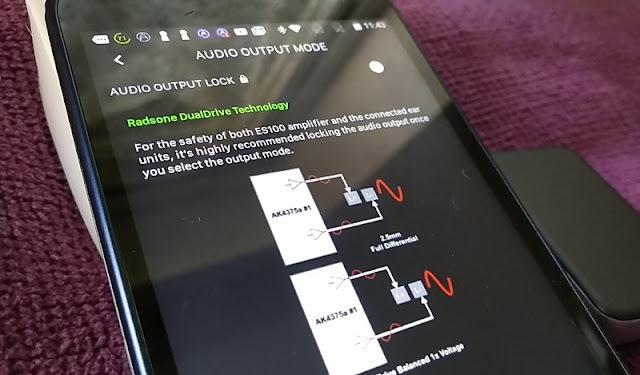 You can configure the amplification from the EarStudio app by selecting 2x current or 2x voltage. 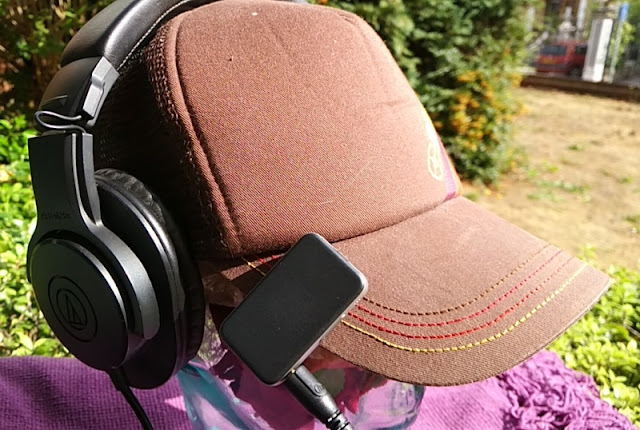 The ES100 can easily handle up to 300 ohm impedance headphones but anything over that the ES100 bluetooth receiver isn't able to deliver enough power. The user control buttons have all clicky, tactile feedback and are located on both sides of the unit. 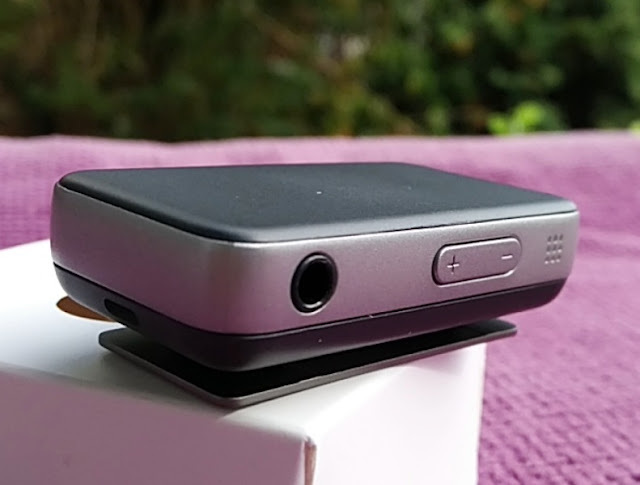 They include a volume rocker, 3.5mm audio jack, and microphone on the left side. The Earstudio ES100 has analog volume control on the output so you get better performance at low volume and no lag. 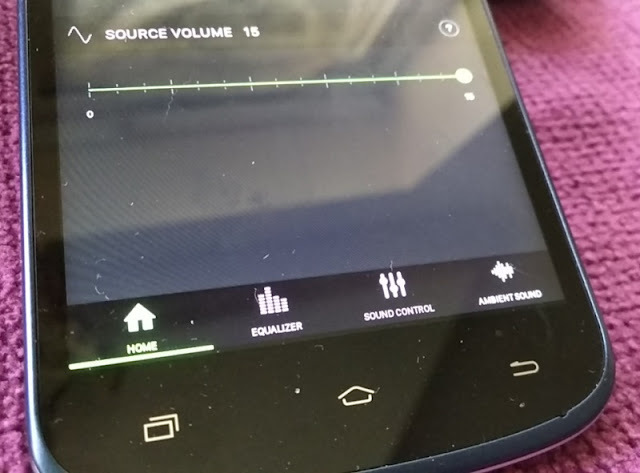 The analog volume level is in 0.5 dB incremental. On the right hand side, you find a 2.5mm audio jack, play/pause button and next/previous rocker. The front of the EarStudio ES100 24-bit bluetooth receiver feature a circular led indicator light. 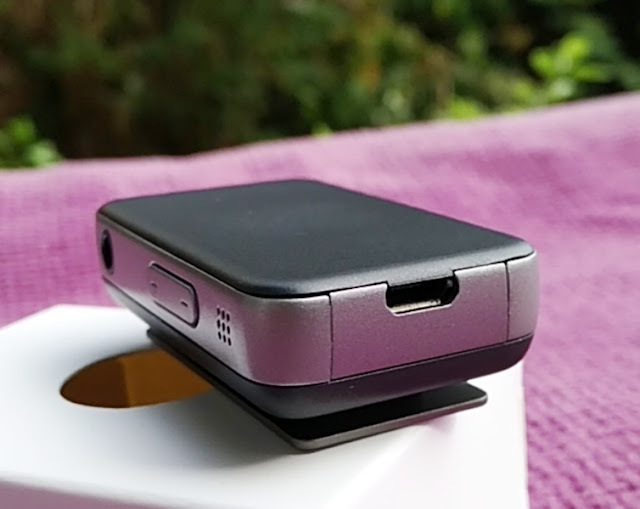 There is a small passthrough hole, just above the clip, for looping a lanyard, as well as micro USB port on top of the unit. The micro USB port is for both charging the unit and audio streaming. 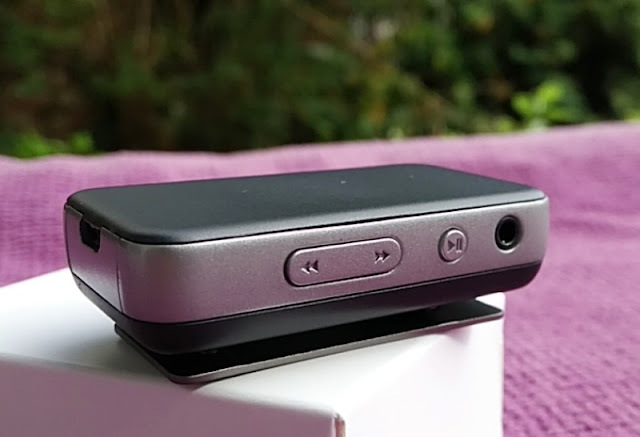 There is virtually no noise floor from the EarStudio ES100 bluetooth receiver thanks to the integration of Distinctive Clear Technology (DCT), which works a bit like ANC (active noise cancellation) to remove bluetooth audio stuttering so there is no jitters nor hisses. 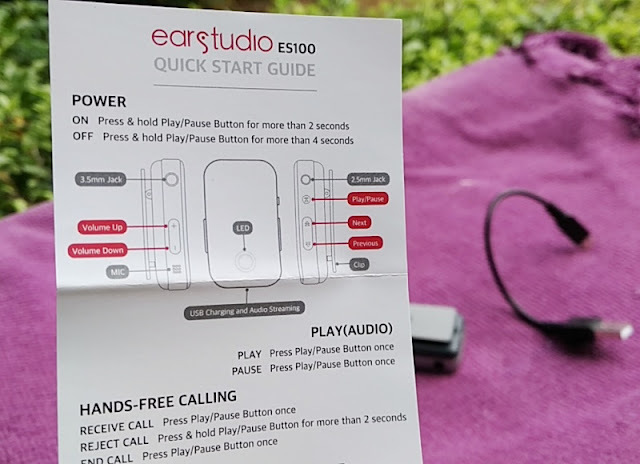 When the EarStudio ES100 bluetooth receiver is connected to your smartphone, you can adjust both the phone's volume and the ES100's volume but you get better sound output when keeping the phone at maximum volume and adjusting the volume level from the ES100 bluetooth receiver. 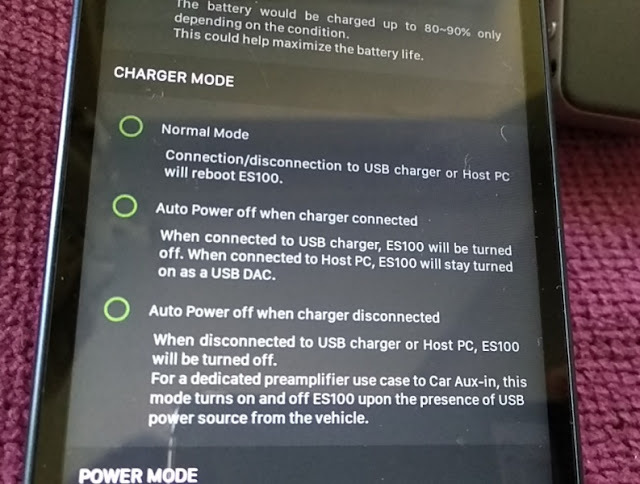 You can lock the audio output to avoid accidentally increasing the volume. 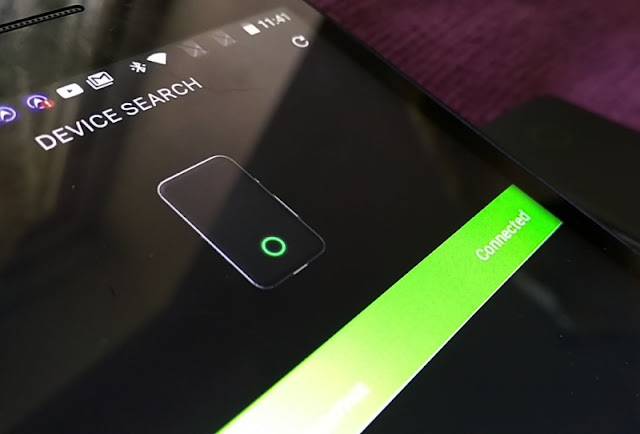 Having your wired headphones plugged into the ES100 bluetooth receiver also turns the headphones into a headset thanks to the built-in microphone in the ES100 bluetooth receiver. 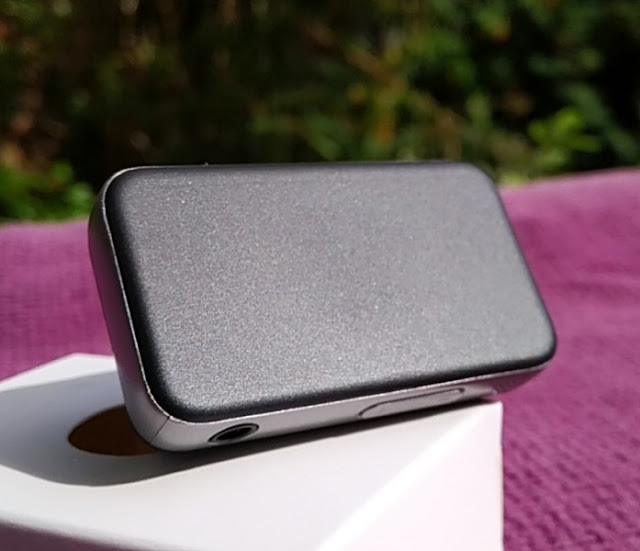 While the ES100 bluetooth receiver is not hi-res certified, it does support LDAC (96KHz/24bit), which offers the highest resolution of wireless audio streaming currently. 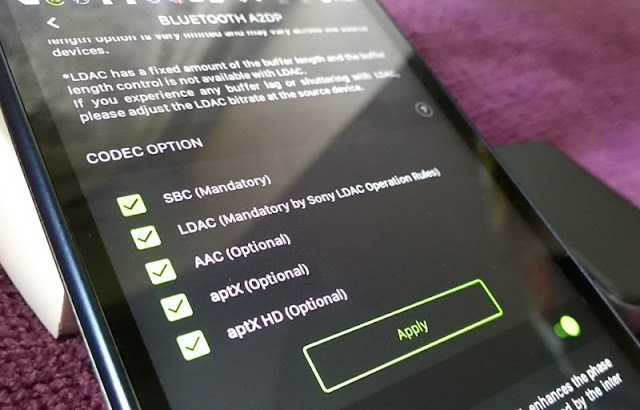 As well as LDAC, the ES100 bluetooth receiver supports SBC, aptX, aptX HD and AAC codec so you can listen to iTunes music files on your iPhone. 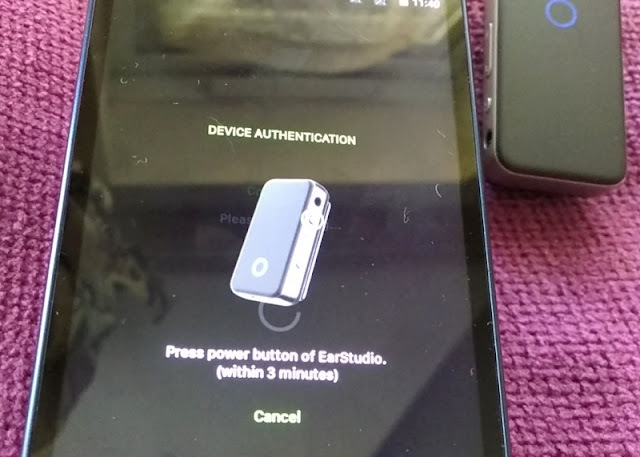 Talking about iPhone, the EarStudio ES100 bluetooth receiver works with both Android and iOS. 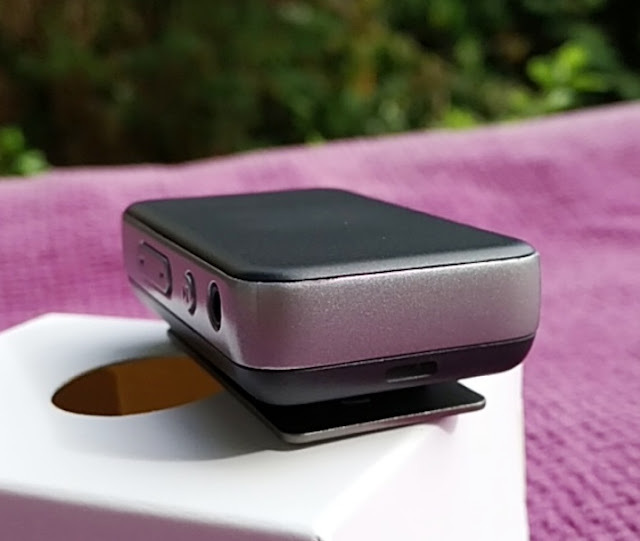 You can connect the ES100 receiver to an iPad, iPhone or Android phone wirelessly or wired via an Apple lighting adapter, Apple camera kit or OTG cable (when using an Android phone). With that said, the audio quality performance over Bluetooth is so good that there isn't much of a point using it wired mode. 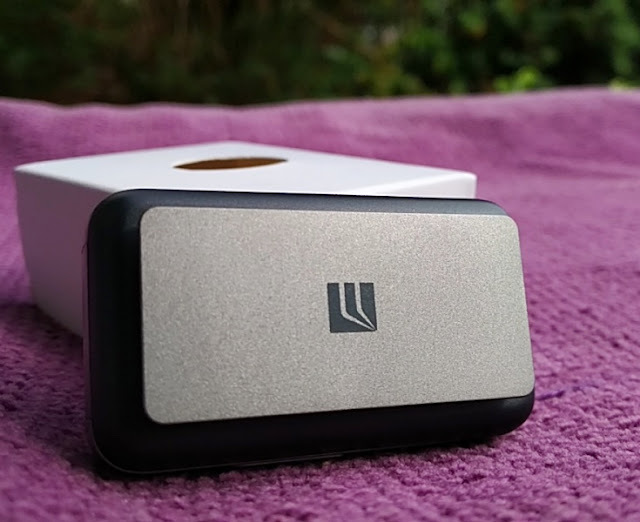 As well as being a headphone amplifier, EarStudio ES100 is also a USB DAC so it doubles as an external sound card for your laptop or computer so you can upgrade the sound of your computer without having to upgrade the motherboard audio. 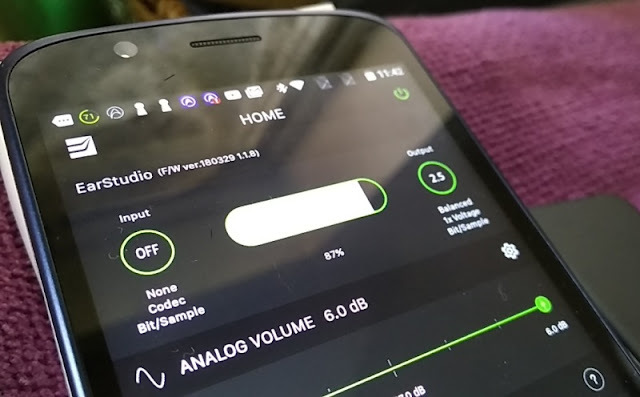 Being able to get 24bit/96kHz analog output from the ES100 bluetooth receiver is great but it's worth noting that you cannot listen in 16bit/44.1kHz flac as the ES100 bluetooth receiver automatically upgrades to 24bit/96kHz. 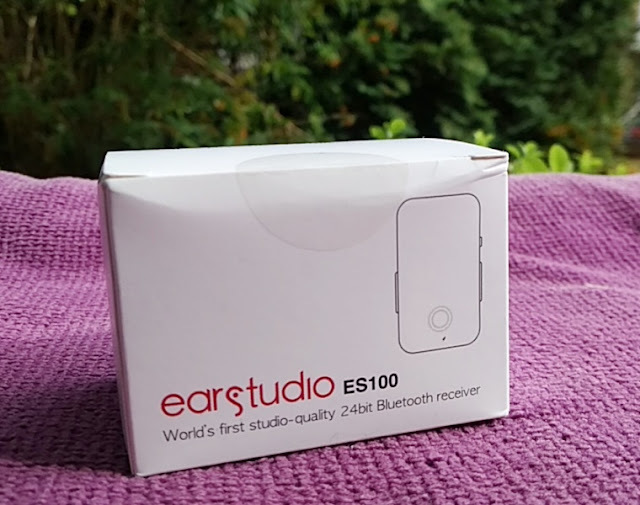 The EarStudio ES100 bluetooth receiver also comes with a companion app, called EarStudio that you download to your smartphone. 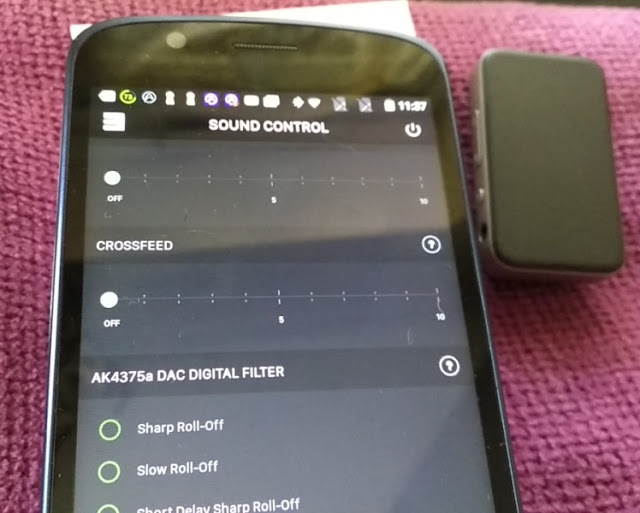 The EarStudio application gives you full control of a 10-band equalizer with preamp level, bluetooth codec options and buffer length so you can adjust the Bluetooth delay when watching videos. 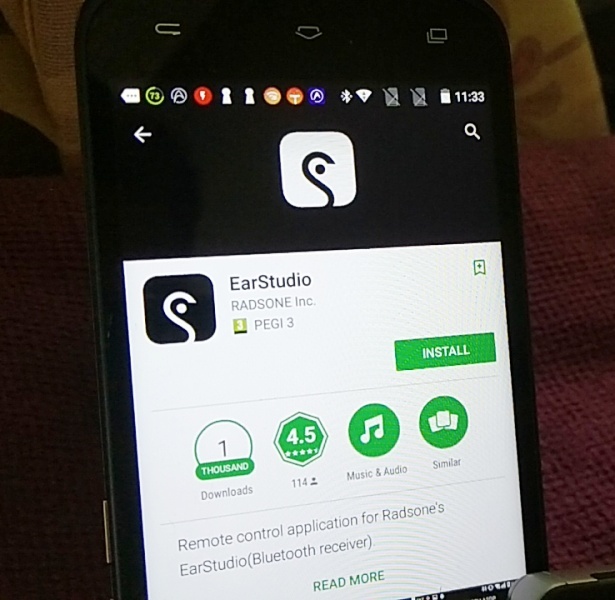 EarStudio app is available for both Android and iOS devices. 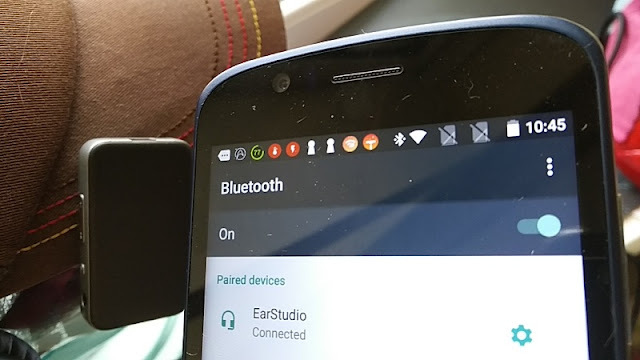 From the EarStudio app, you can also adjust the DAC oversampling audio signal, correct bluetooth jitters, and crossfeed so you can adjust stereo separation naturally to imitate the experience of listening in front of speakers. 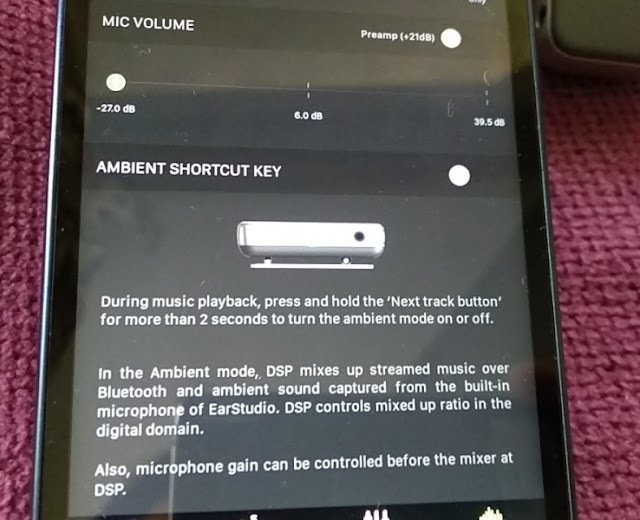 There is also an ambient sound mode that you can enable from the EarStudio app to turn the ES100 microphone into a mic input to capture background sounds. 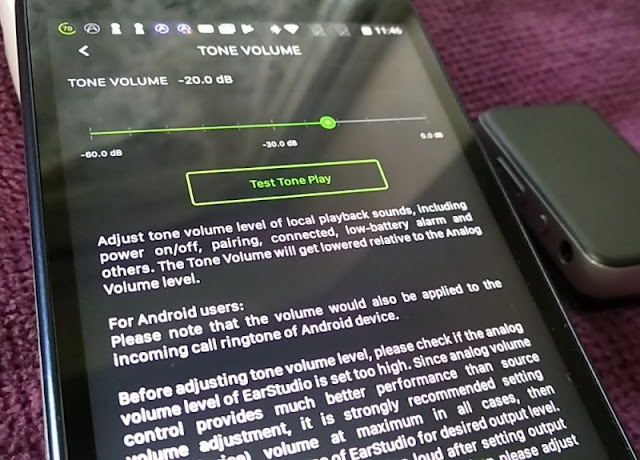 The EarStudio app interface is easy to use and features many sound options, some of which require some expertise, but then again if you are into your audio you will love tinkering around. There is an EarStudio ES100 manual PDF that you can use to guide you through the different settings. 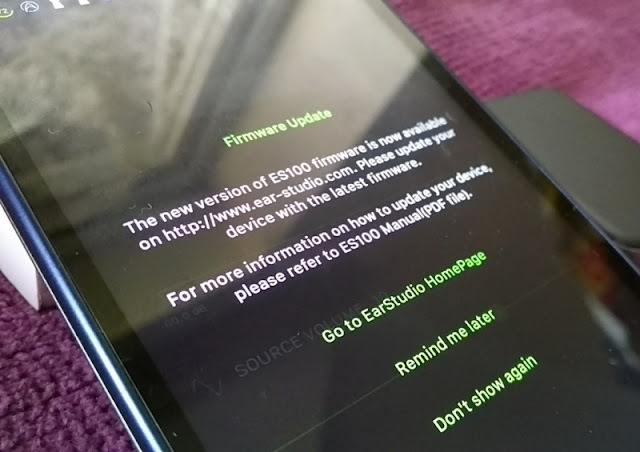 The EarStudio software gets updated regularly and so does the ES1000 hardware which you can update via firmware upgrades. To upgrade the firmware, you need to download the latest version 1.3.2 from Ear Studio website and run the version for your computer (i.e. win32, win64 or MacOS). 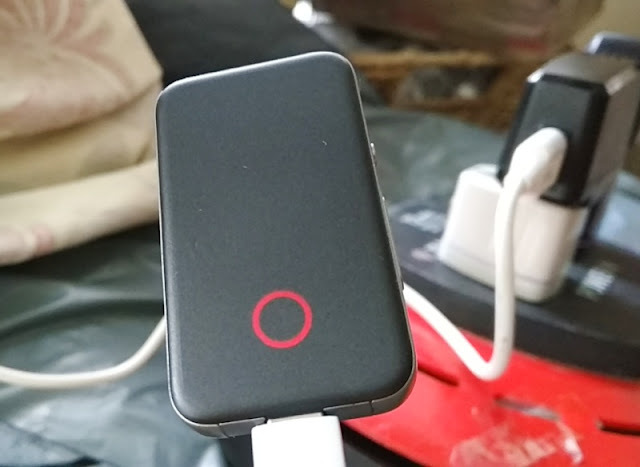 Then, you need to hold down the power button while inserting the USB cable into the ES100 (the led will be turned off). 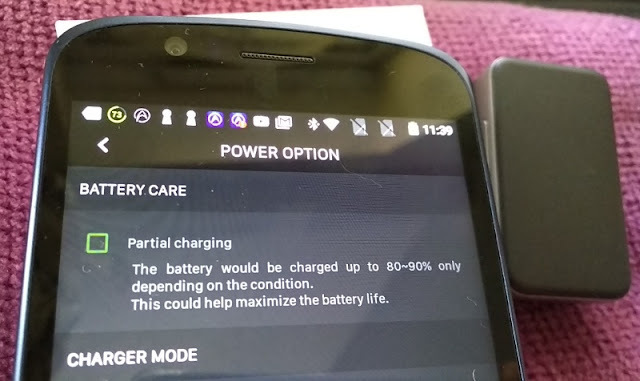 Follow the on-screen command prompts.